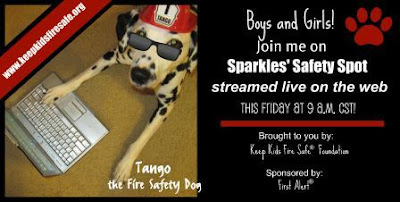 Join Tango the Fire Safety Dog and host Dayna Hilton on the only weekly live streamed fire safety show on the web! Hilton and her four-legged side-kicks share fire safety tips in a fun and entertaining way, helping keep you and your children safe! Brought to you by the Keep Kids Fire Safe Foundation and sponsored by First Alert.